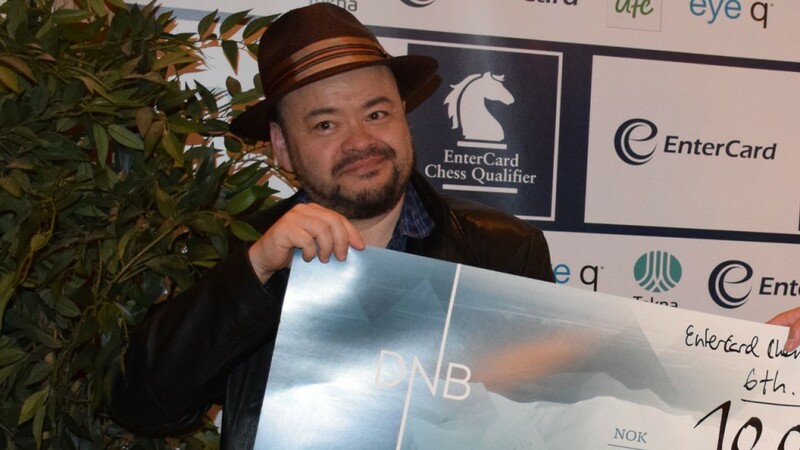 GM Jonathan Tisdall is in charge of the elite players in the Norwegian Chess Federation. He’s also the author of «Improve Your Chess Now», a well-received book when it was released in 1997. Tisdall will be a regular contributor in the English section here at Matt & Patt. This is his first piece in what is intended to be a bi-weekly column. 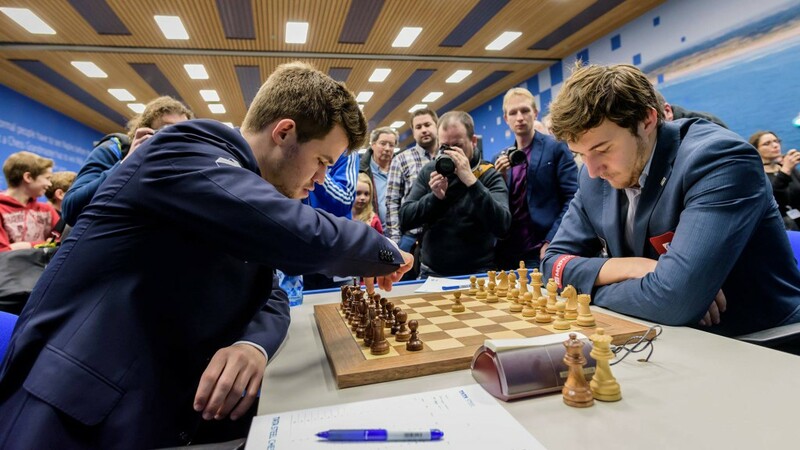 With the world title match between reigning champion Magnus Carlsen and challenger Sergei Karjakin now six months away, most of the speculation in chess and media circles is about the possibility of a sudden shift of venue from Manhattan to Moscow. But while the organizer continues to insist that everything is going as planned, and details about the sponsors and playing venue are coming soon, there is another ‘mystery’ to unravel around the match for chess fans. The teams of assistants working for each player, and the possible surprises and weapons they are preparing in the openings, is the world championship equivalent of secret intelligence and industrial espionage. 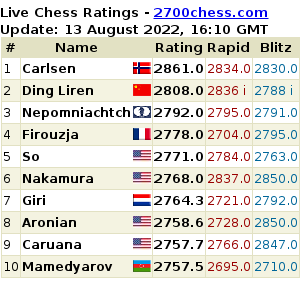 Keeping an eye on the known trainers of Carlsen and Karjakin, trying to determine who else might be working on the inside, and putting this into the context of the lightning fast development in chess openings is an intriguing pastime for chess writer, experts and fans. The champion’s team is well known – Peter Heine Nielsen and Jon Ludvig Hammer, with Laurent Fressinet and most recently English ‘veteran’ Michael Adams making up the core of the analytical assistants in the last title defence vs. Vishy Anand in 2014. 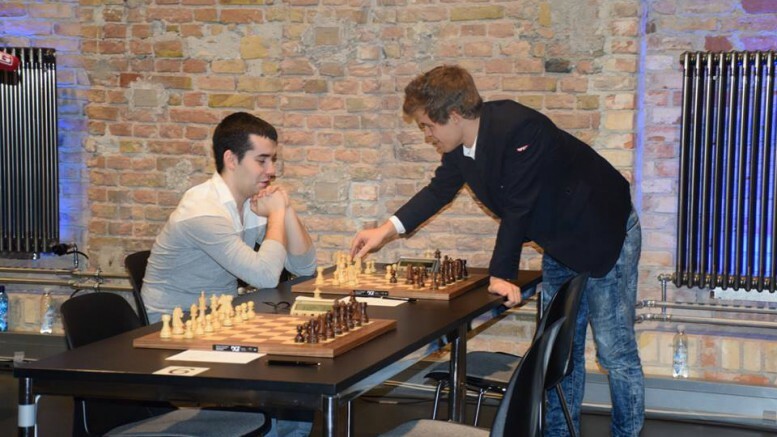 Besides this core, Magnus is rather unusual in that he has a very ‘open camp’ mentality, and has had working sessions with many top players in recent years, apparently finding it more valuable to have stimulating discussions with potential rivals – even such serious ones as Kramnik and Aronian – than worrying about anyone ‘learning too much’. Challenger Karjakin has been known to employ colleagues Alexander Motylev and Yuri Dokhoian, and has one very interesting recent trainer, former European Champion Vladimir Potkin. 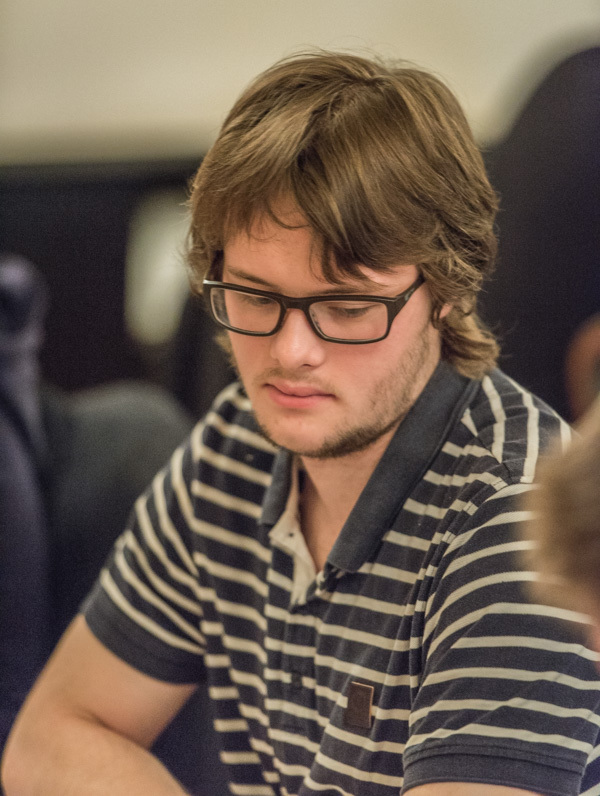 What makes Potkin of special interest is that he has an old chum of Carlsen’s and has assisted the Norwegian with preparation in the past. 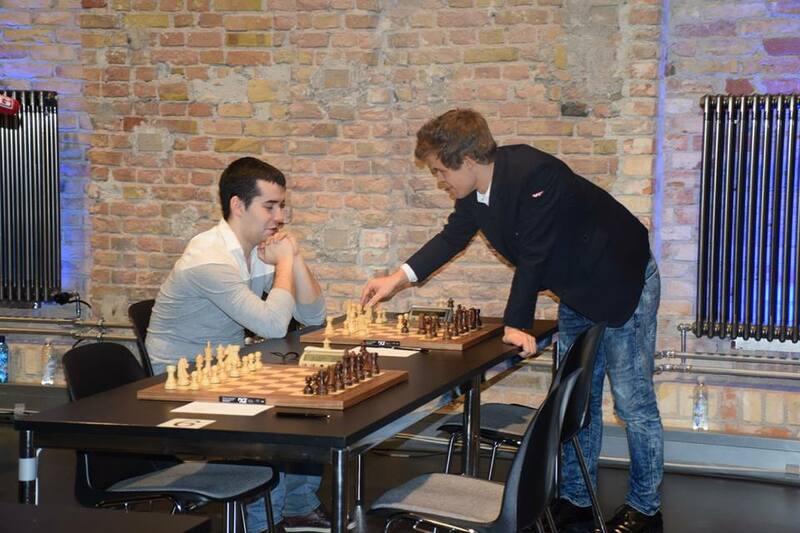 How this relationship and insider knowledge will impact his new job as Karjakin’s trainer will be an interesting topic of speculation towards the big event. 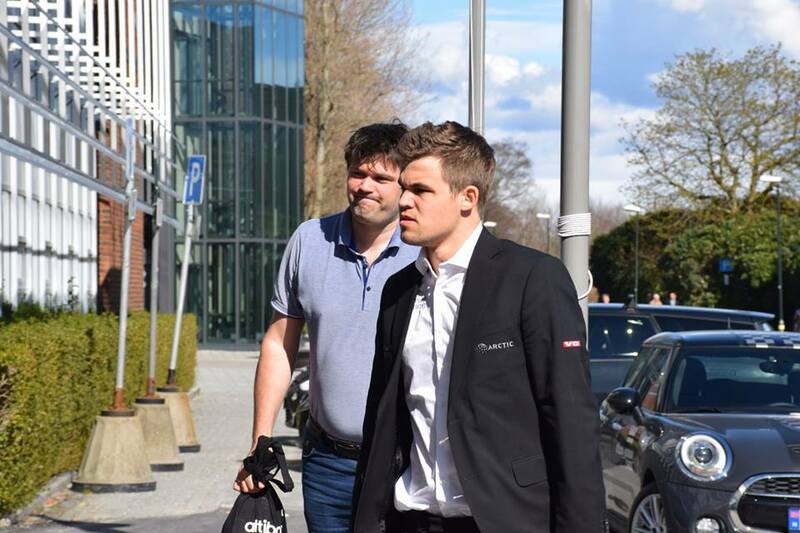 While Carlsen finally eliminated one of his few sporting blocks by winning the Altibox Norway Chess super-tournament in Stavanger, Karjakin – who suddenly dropped out of the event after an exhausting Candidates tournament that earned him the title match – made an appearance at the board in the recent Russian Team Championship. His result was typical of someone in the throes of deep preparation for a title match – a bit distracted and disappointing. 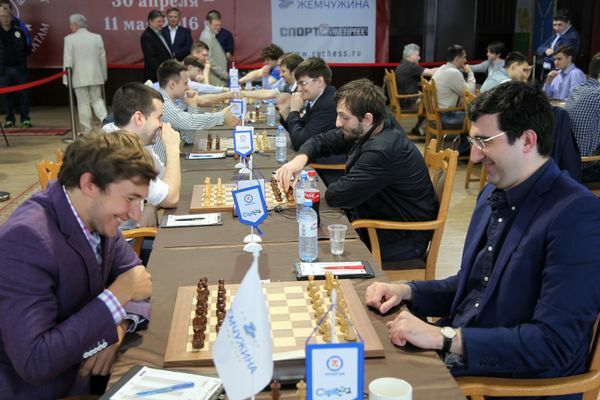 Karjakin had an uneventful draw with Alexander Grischuk, lost with White against fellow FIDE Cup finalist Peter Svidler, and survived a marathon bout of torture at the hands of Vladimir Kramnik to make another draw. Kramnik missed a few difficult finesses that could have brought him victory, but mounted incredibly sustained pressure that would have been enough to crack most superheroes. This last game was another graphic example of Karjakin’s incredible defensive tenacity, a rare talent which will be extremely useful in a match against the often sadistic technical play of the champion. For those keeping an eye on Norwegian developments, one recent game in Scandinavia probably attracted the attention of chess think tanks. Norwegian GM Frode Urkedal had an interesting discussion vs Konstantin Landa at the powerful Hasselbacken Open in Stockholm. 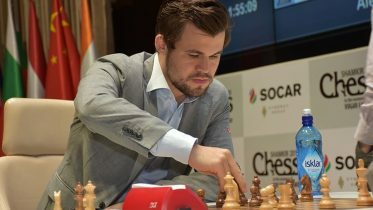 This game followed Carlsen-Kramnik from Stavanger 2016, where white won a crushing victory using a new strategic idea from second Hammer, but an alert finesse from Russian Landa might restore this variation’s reputation as a solid, if unambitious, option. In the months to come this should become a hobby for enthusiasts waiting for the title action to start; scrutinize the ideas of players who might have links to the two camps, and hunt for clues that might indicate which secret agents may be working for whom.